The library at Maynooth University is a hive of activity at any time but no more so than during exam time. With upwards of 3,500 patrons passing through the turnstiles on any given day during the busy examinations period, the needs of the students are many and varied. As many of them have travelled considerable distances to study in the library, they end up spending several hours here at a time in order to make their visit worthwhile. As a means of better meeting their needs in a holistic way, and having reflected on what could help students by smoothing out the stress factor, Maynooth Students’ Union decided on a three-pronged approach. 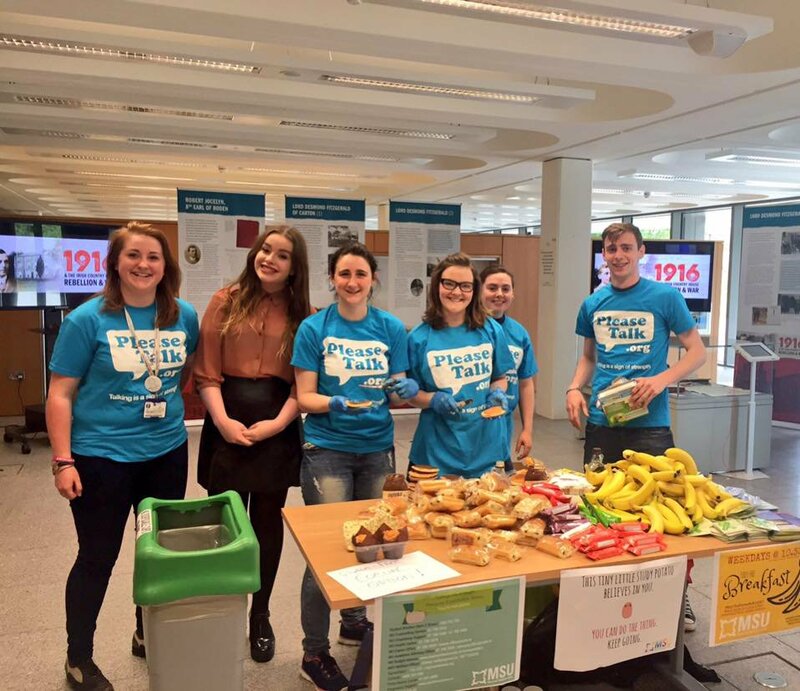 Firstly, they provided snacks and refreshments for students free of charge in the foyer of the library. 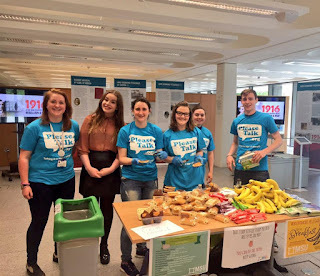 A few times throughout the day during exam time, members of the Students’ Union set up tables in the open-plan library foyer and served up snacks such as pancakes, fruit, muffins, yoghurts and soft drinks. Needless to say, these were snapped up and are very much appreciated by the students. A second support implemented by the Students’ Union was the provision of small hampers of personal care and hygiene items such as deodorant, tissues, hand cream and so on, which were placed in the rest rooms during exam time. These were well received and much appreciated. A third strand to this initiative was the placing of posters at strategic locations in the library highlighting the helplines, supports and services available to students throughout the busy exam period as well as at other times. 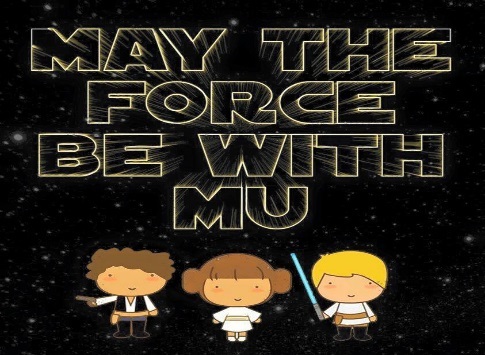 Maynooth Students’ Union won the overall National Education Campaign of the year award at the Student Achievement Awards with the Union of Students’ in Ireland (USI) with their campaign entitled #MayTheForceBeWithMU from Christmas 2015 exam time. The awards ceremony took place in collaboration with the Union of Students in Ireland (USI) on May 26th 2016. This significant achievement was made possible by the synergy and sense of co-operation that exists between the Students’ Union and the library at Maynooth University.